Every School Disco I do is always fun, and enjoyable. But Strathpine West State School is a School that I particularly enjoy doing that little bit more as it’s my old stomping ground that I used to go to school at. So it’s always a little more special when I can go back to my old school and play for the year levels that I used to be in. 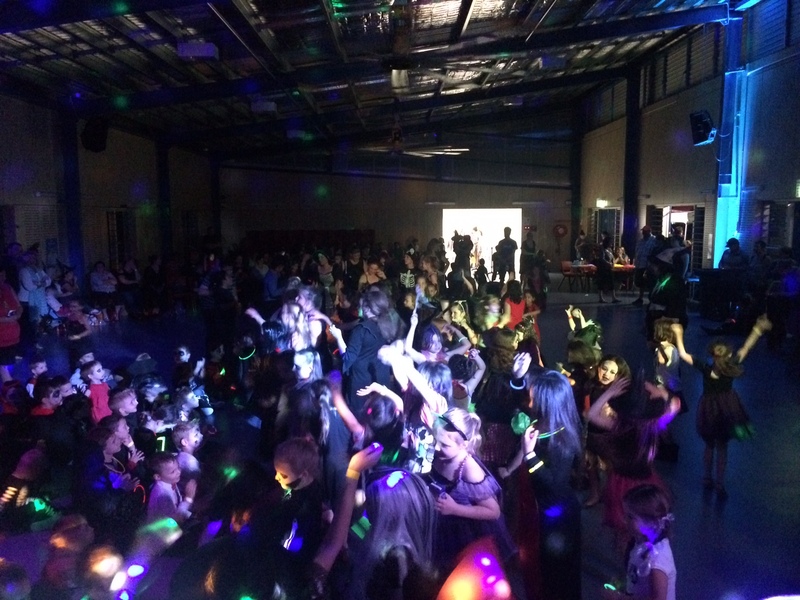 This is their second disco that they have held with DJ BRAD as their DJ after finding a new DJ, and Friday night’s disco was their Spooky Halloween Disco. 6:00pm – the junior kids all came dressed in all their Halloween outfits, such as Witches, Zombies, Ghosts, Face Painting Faces, all sorts of different outfits to have a dance in with all their friends. It was HEAPS of fun! As their School Disco DJ we did a number of games including some Halloween games as well to keep within the theme of it all. After 7:20pm, it was the senior kids turn to come out and do some dancing! Of course we did the Nae Nae, one of the latest dancing songs that is taking the school kids by storm, and did some other interactive games with the teachers, parents & students.